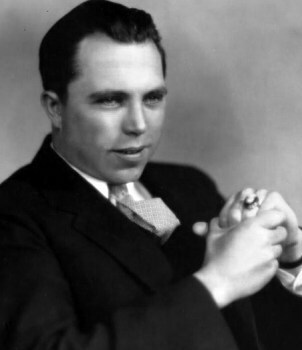 King Vidor had a long and successful career as a Hollywood director lasting over 60 years and passing from the silent movie age well into the era of Talkies. He was brilliant and innovative and it is a mystery why his name and reputation have become less well known than some of his contemporaries. He certainly does not deserve such a fate. He directed some exceptional pioneering works such as 'The Big Parade', made in 1925, 'Hallelujah! in 1929, 'Stella Dallas' in 1937, 'Duel in the Sun' in 1946, and 'Solomon and Sheba' in 1959. Most of his best sound films are still shown regularly on television decades after his death, and even 'The Big Parade', the best of his silents, was re-released during the 1980s. He was prepared to make movies tackling themes such as racism and the plight of the poor and although none of his five Oscar nominations between 1928 and 1955 resulted in a win, he received an honorary Oscar in 1979 for his services to the movie industry. He was born King Wallis Vidor in 1894 in Galveston, Texas, into a well-to-do middle-class family. His father Charles, founded the Miller-Vidor Lumber Co. in Texas and the town of Vidor in Texas was named after him. King attended the Peacock Military Academy in San Antonio where he learned the value of hard work and discipline. When he left the academy at 15 it was just at the time that the new medium of films was beginning to take shape. Everything about it was new and thoroughly modern and Vidor was fascinated by every aspect of it. He began by working as a ticket collector at a local Galveston theater and quickly progressed to projectionist. He was astute and enthusiastic enough to learn how to make movies from the repeated viewings of the movies he projected and he began his film career by shooting news events in the area and selling the clips to newsreel production companies. In 1915 he married actress Florence Arto and the young couple moved to the new movie colony which was springing up in Hollywood. Vidor initially worked as a clerk and a movie extra with Universal Studios, whilst his wife slowly developed a career for herself as an actress. After gaining experience as a screenwriter at Universal, Vidor began directing for them in 1918, making short two-reelers such as 'The Chocolate of the Gang', 'Tad's Swimming Hole' and 'The Accusing Toe', and the following year he began directing feature films with 'The Turn in the Road', based on a script which he had written himself. In 1920, with financial backing from his father, the ambitious Vidor built and ran "Vidor Village," a small studio where he directed eight movies over the next 3 years, many of them starring his wife, but the marriage hit problems and the couple separated in 1923, divorcing a year later. At the same time Vidor reinforced his rapidly growing reputation by joining the resourceful and ambitious Sam Goldwyn. When Goldwyn merged with the newly formed MGM, Vidor stayed on and continued with the new company for twenty years, during which time he established his reputation as one of Hollywood's most innovative directors. His best work shows his preoccupation with the experiences of ordinary people in situations which are clearly quite out of the ordinary. His biggest movie of the Silent era, and the one which made him famous, was 'The Big Parade', made in 1925, which became the biggest box-office success of the time. The movie imaginatively depicts the First World War through the eyes of a single soldier. Vidor used the same device in 1928 in 'The Crowd' which examines and dramatizes the humdrum life of a city clerk. Vidor entered the era of Talkies with equilibrium and even panache. He was not intimidated by the new medium and, unlike many of his contemporaries, was prepared to experiment and improvise. He made the all black musical, 'Halleluja', in 1929 and then 'The Champ', made in 1931, starring Wallace Beery and Jackie Cooper, which was one of the most popular movies of the early Talkies era. Vidor's next memorable film, 'Our Daily Bread' in 1934 was financed by himself, ironically mirroring the fate of its characters: victims of the Depression who pull together to manage an abandoned farm. It ends with a clever and unique sequence showing the workers acting together to divert a stream through a makeshift ditch to irrigate the crops. Through superb editing and composition, Vidor turns the stuff of documentary realism into compelling and poetic cinema. Vidor was extremely successful at the box-office during the 1930's with such hits as 'Stella Dallas' in 1937 starring Barbara Stanwyck, and 'The Citadel' the following year. He also worked uncredited on 'The Wizard of Oz' in 1939. In 1940 Vidor directed the comic satire 'Comrade X', and the thriller 'Northwest Passage' starring Spencer Tracy, but he had to wait until 1947 for his next unforgettable hit with 'Duel in the Sun', starring Jennifer Jones. The movie re-established his pre-eminence in the ranks of Hollywood directors and 'The Fountainhead' in 1949 reinforced his position. In the 1950's, only the epic genre seemed big enough for his reputation and he ended his career with two famous examples. So unfashionable are such films today, it is almost heretical to concede that 'War and Peace' in 1955 is majestic film making, and as dramatically engaging in its quiet verses as it is vivid in its action choruses. But it is. 'Solomon and Sheba', made in 1959, and which left Vidor dissatisfied, is an interesting Biblical epic, containing an amazing sequence of a group of soldiers blinding the advancing enemy army by reflecting sunlight off their shields. Great scenes like this, amidst otherwise ordinary fare, have caused Vidor to be branded a director of 'great moments' but not 'great films', which is doing him a disservice. After 1959 he retired from moviemaking apart from an unsuccessful attempt in 1979 to raise finance for a film about James Murray, the star of 'The Crowd' and an alcoholic who had died an early death from drowning in 1936. Vidor wrote a well-received autobiography in 1953, entitled "A Tree is a Tee". In retirement Vidor settled into his ranch in San Luis Obispo County in Southern California and gave occasional lectures on movie directing and film making at the University of Southern California and the University of California at Los Angeles. Vidor was married three times, firstly in 1915 to Florence Arto, the marriage producing one daughter and ending in divorce in 1924. From 1926 until divorcing in 1933 he was married to Eleanor Boardman with whom he had two daughters, and finally he married Elizabeth Hill in 1937, the marriage ending with his death. King Vidor died on November 1, 1982. "For his incomparable achievements as a cinematic creator and innovator."